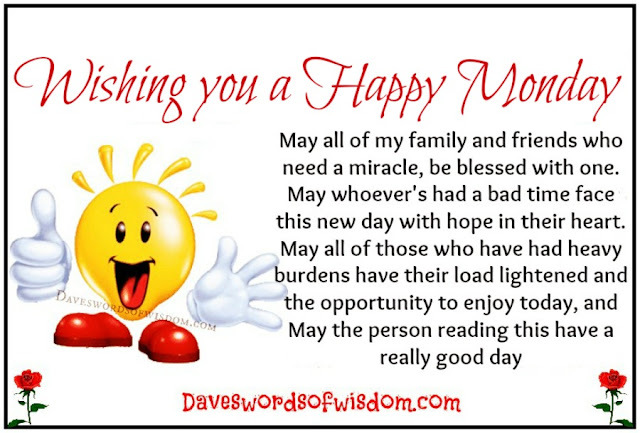 Daveswordsofwisdom.com: A Blessing for you this Monday. A Blessing for you this Monday. A Special Blessing for Monday. May all of my family and friends who need a miracle, be blessed with one. May whoever's had a bad time face this new day with hope in their heart. 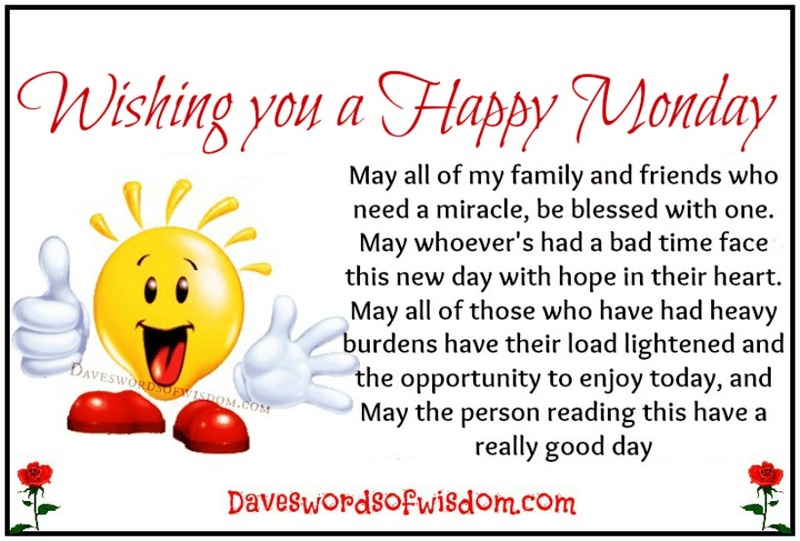 May all of those who have had heavy burdens have their load lightened and the opportunity to enjoy today, and May the person reading this have a really good day.